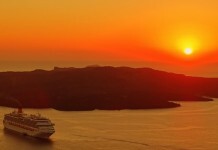 Aussie Cruise Lines is an independent cruise blog that helps you find fantastic cruise information and cruise deals. We are not a travel agent – we offer a free service that shows you real opinions from real cruisers who wish to share their experiences with you. We also aggregate cruise prices from many of the world’s top travel booking engines so that with one quick search you can compare prices from a range of providers and book direct. Our philosophy is simple: we want to provide you with every bit of information you could possibly need in order to make the best decision you can about your next cruise. We believe that choosing the right ship and destination is made easier by referring to the opinions of those cruisers who have been there before you.